What is a prequel without a sequel? 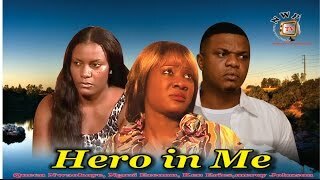 Hero in Me Nigerian Movie is the sequel to Painful Victory 1&2, both of which are showing on Nigeria Movie Network--via the YouTube channel of Nollywood Pictures TV. The movie stars Queen Nwokoye, Mercy Johnson, Ken Erics, Ngozi Ezeonu, Chinwe Owoh, and Kyrie Ekwenze. "This is the sequel to Painful Victory. Following the many humiliating events experienced by poor Enyidia (Chinwe Owo) and her children in the house of her mistress Madam Cecilia(Ngozi Ezeonu) is a certain competition organised for primary school children; involving the children of Madam Cecelia and Enyidia. The school competition incidentally, becomes a gateway to a series of other gripping and suspenseful events packaged in this masterpiece. 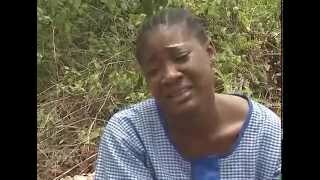 Starring: Ngozi Ezeonu, Mercy Johnson, Chinwe Owoh, Queen Nwokoye, Ken Erics and Kyrie Ekwenze." As seen on Nigeria Movie Network!